Savneet Bhasin is the co-Founder and CEO of ‘Springboard by UpLearn’, a Valiant Group Venture. She believes that it’s important for children to upgrade their skills to excel in life and wants to provide the best in class enhancement programs for making this a reality. Her workshops were also featured in a leading newspaper, ‘The Asian Age’. She also writes articles on children for a magazine named ‘Bliss Equity’. She has recently been awarded ‘WOW – Women’s Excellence Awards 2017’ in the category of ‘Wow Entrepreneur- Learning and Development’. Prior to Springboard, Savneet was the founder and CEO of corporate edge, a training and development company offering customized corporate programs that ran successfully from 2010-2013. She’s a passionate learning facilitator in experiential learning. She has done her ‘Train the Trainer’ program from ‘Dale Carnegie’. Savneet understands the real need of the customers and has been appreciated for delivering on client expectations for over two decades. 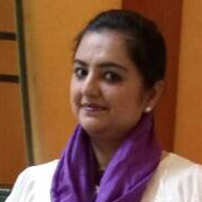 Alongside, Savneet has been mentoring school students for success in academics and in life. A graduate from Mumbai University, Savneet has also been an Abacus teacher. A mother of two, her hobbies include ethnic fashion design, cooking and meeting people.